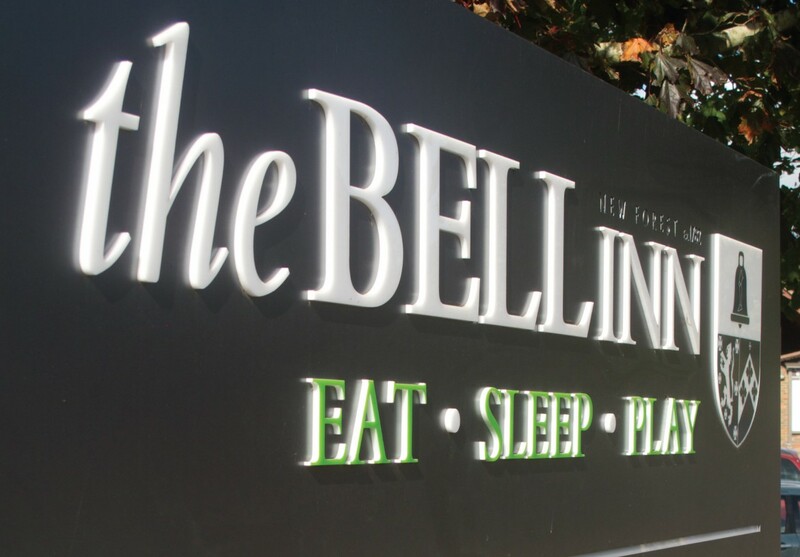 When the Bell Inn approached us to manage a major re-signing project, we jumped at the chance to work on such a beautiful site. Situated in a picturesque area of the New Forest, the site features Hampshire’s oldest golf course along with a fantastic traditional hotel to relax in. The project demanded a high level of attention to detail and quality workmanship. The new signage compliments the idyllic setting extremely well and sets it off nicely with a modern twist. Completed in two stages, this project exceeded both the clients’ and our expectations. 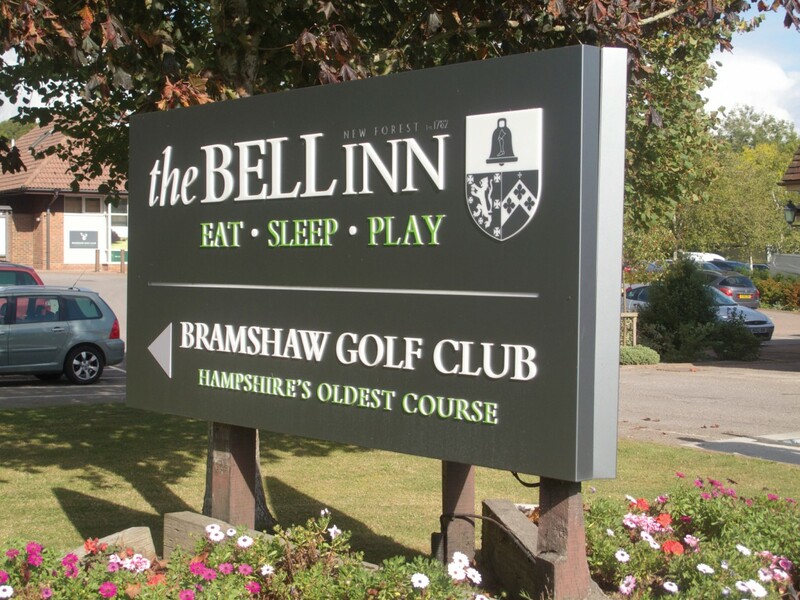 Complete re-signing of the Bell Inn and Bramshaw Golf Club exterior signage. One-off paint colour matching for all signs. Large format V-mount entrance sign with internal LED illumination and ‘pushthrough’ acrylic lettering. 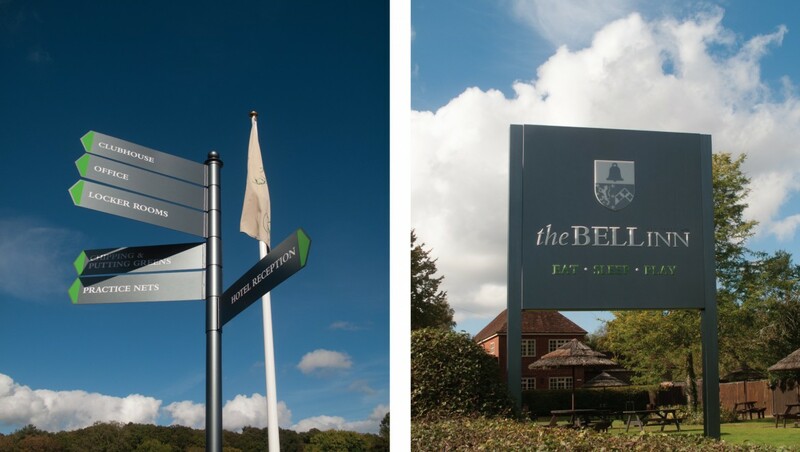 Double sided high level hotel swing sign with internal LED illumination. Various signtray and plate aluminium signage throughout.